Lille's Jose Fonte and teammates celebrate after the match. 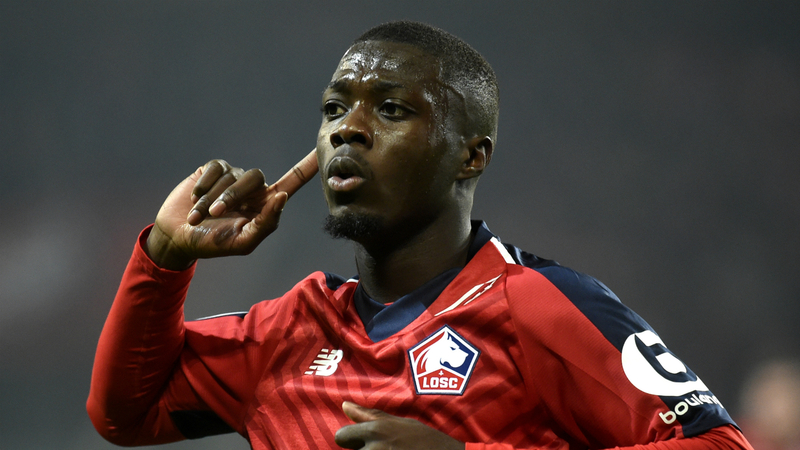 But Bernat was later sent off to a red card and combined with Meunier and Thiago Silva going off injured early on, proved a recipe for disaster as Lille scored four times in the second-half to come away with an easy win. The game got off to an eventful start with Kylian Mbappe having two goals disallowed for offside in the first 15 minutes and PSG losing Thiago Silva to a muscle injury two weeks before the French Cup final against Stade Rennes. "We're going to be champions but we can not lose like this". "Putting five past PSG doesn't happen to everyone, even if they did only have 10 men, but we played well tonight", Pepe told Canal+. "We can't lack personality like that, and concede three, four, five goals". PSG boss Thomas Tuchel called the heavy loss "normal" before complaining about the lack of healthy players at his disposal. "They didn't have any chance in the first half, and there was Kehrer's opportunity in the beginning of second half". We might go there with 13 players. "Given the circumstances, we had a good game, I have to protect my players At 10, it became extra hard", Tuchel said. Qatari owner Nasser Al-Khelaifi could also be heard saying: "We need to raise the level of French football!" "Yes, I will be telling the president as this situation is not good". Saint-Etienne reclaimed fourth spot in the French top flight after cruising to a 3-0 win over Bordeaux.